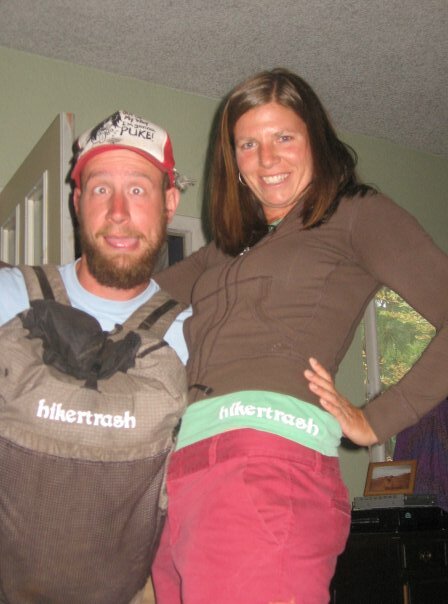 When Daniel “Ratatouille” Hepokoski first contacted me because he was interested in covering the topic of “hikertrash” on his new podcast series, Trailside Radio, I was happy to oblige…trying to define hikertrash for those who aren’t hikers can sometimes be a confusing discussion. Yes, it makes sense why we self identify as dirty on a long distance trail, but Ratatouille, like others I’ve spoken to over the years, wasn’t sure he wanted to call himself trash. Thus the podcast. 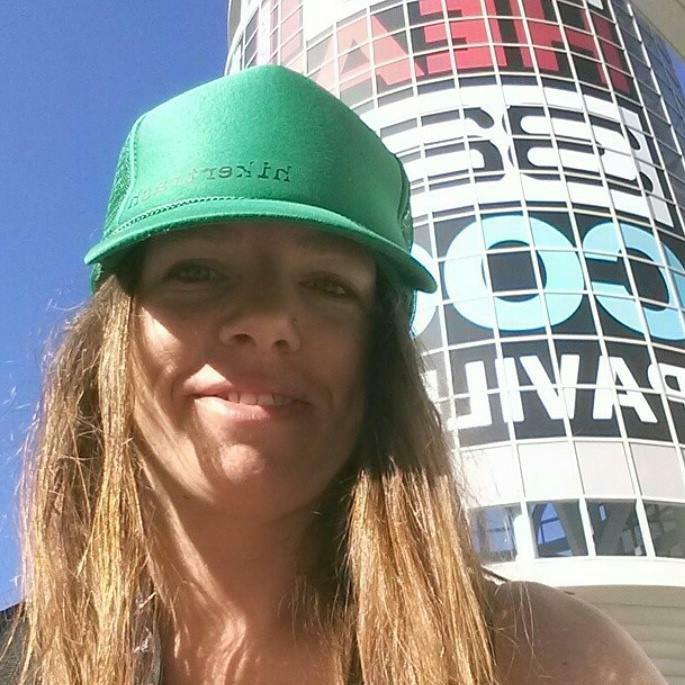 What is hikertrash? Ratatouille will be getting on his first long distance trail, the PCT, in a few weeks, and will be attempting to continue this podcast series; an ambitious but exciting proposition. When he asked me why someone would want to call themselves hikertrash, I suggested he hike for a month and then we revisit the issue. My first screen: a curtain stapled onto a picture frame from goodwill. 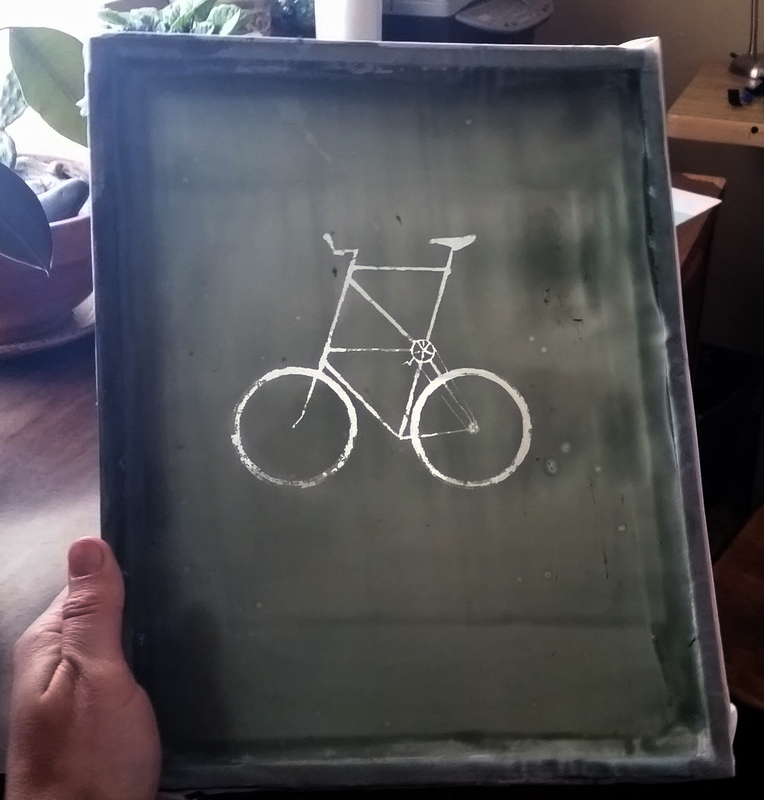 The first designs included mostly bikes. Did I mention I love bikes? Back in 2009 on Lint‘s second thru-hike of the PCT I printed my first “hikertrash” on his pack when he passed through Bend. 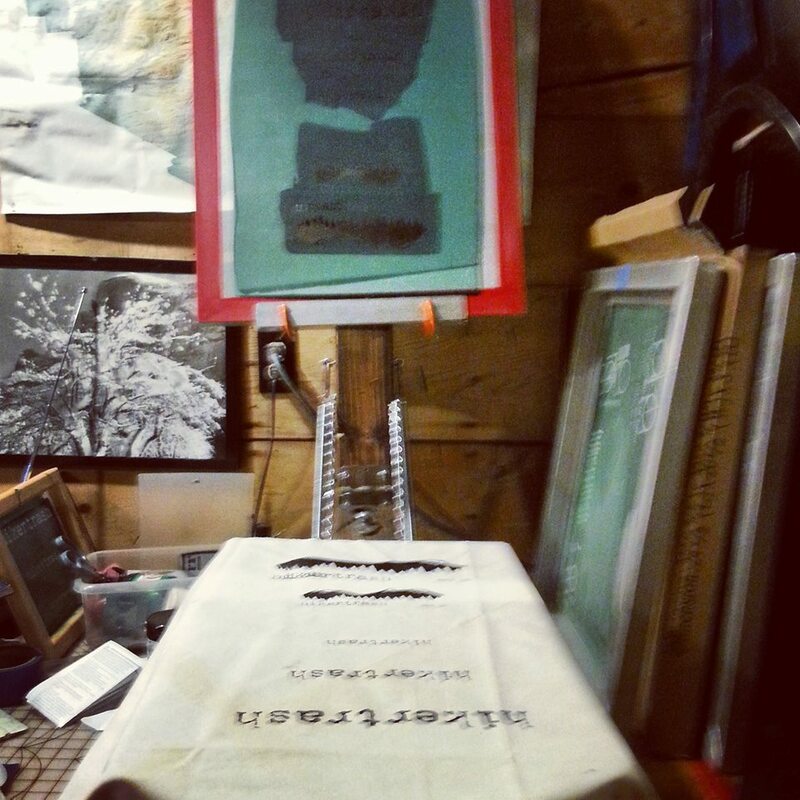 Kirk helped me build a screen printing press out of 95% recycled materials for 2014’s PCT Days. 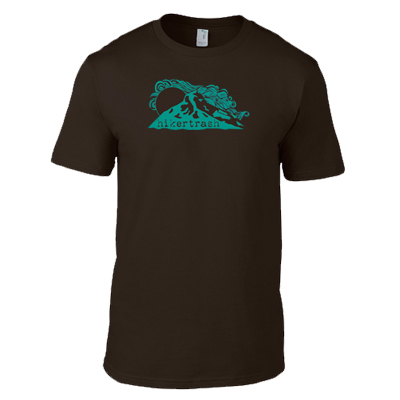 Now we make a variety of products in a rainbow of colors. 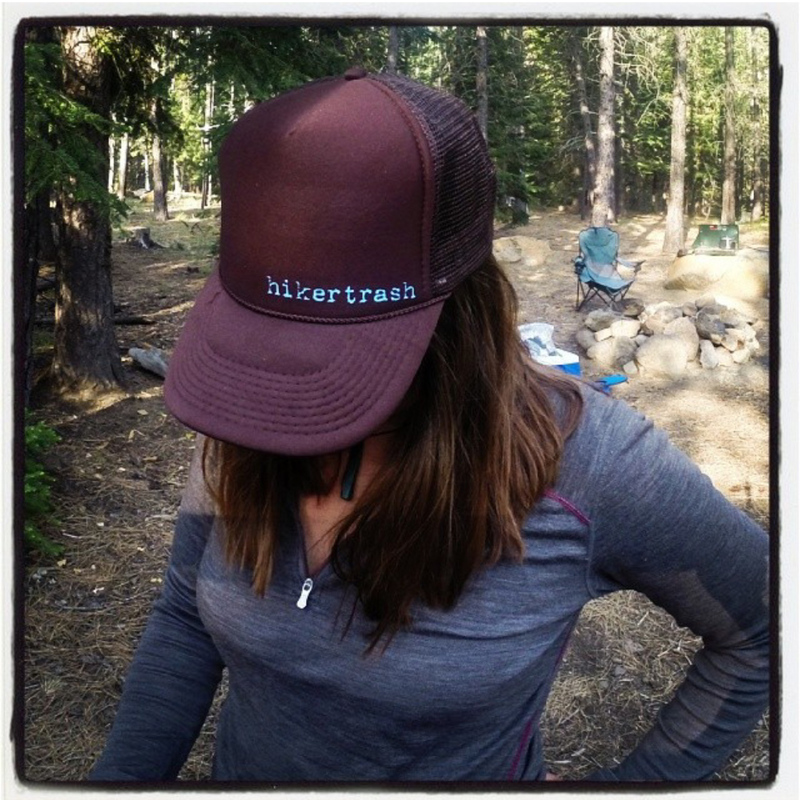 Hikertrash has had a good first year…2 trips to the OR Show and hikers wore our hats on the triple crown trails. Dude! As I said, getting dirty on the trail is the big equalizer. 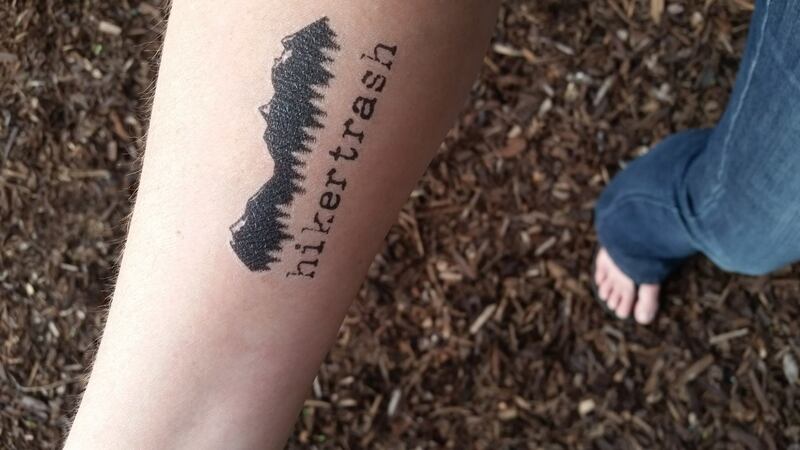 we are all hikertrash.